Luke Bryan to perform at Mid-State Fair! Home › Latest News › Luke Bryan to perform at Mid-State Fair! 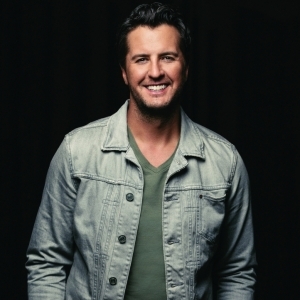 PASO ROBLES (CA) – The California Mid-State Fair is pleased to announce that country music superstar Luke Bryan has been confirmed to perform in concert on Thursday, July 26 at 7:30 pm. Special Guest is Jon Pardi, who will open the show. Bryan’s concert is part of the annual Bud Light Concert Series and will take place in the Chumash Grandstand Arena at the Paso Robles Event Center. It marks the first time Bryan has ever performed at the California Mid-State Fair. Ticket prices for the show are $51, $86, $131 and $156 and will go on sale Friday, March 2, 2018. Tickets will be available starting at 10:00 am online at www.MidStateFair.com or by calling 1-800-909-FAIR (3247), and at 1:00 pm at the California Mid-State Fair box office located at 2198 Riverside Avenue in Paso Robles. Country music superstar Luke Bryan is a two-time Academy of Country Music and Country Music Association Entertainer of the Year, a five-time host of the ACM Awards and the Super Bowl LI National anthem performer. He has more certified digital singles than any other country artist with 40 million tracks and 12 million albums with three Billion music streams and he was the most-streamed country artist from 2012 to 2016. Luke has placed 19 singles at #1, 11 of which he co-wrote, and has headlined arena tours and sold-out stadiums across the U.S. performing for 1.5 Million fans in 2017 alone. California native and Capitol Records Nashville’s Jon Pardi is undeniably country, with an evident influence from country music pioneers from Dwight Yoakam, to Merle Haggard. His laid back, fun-loving approach towards life, charisma and authenticity strike a chord with country audiences as he regularly sells out shows across the country. His second studio album, California Sunrise, was released in June of 2016 and features two #1 hits “Head Over Boots” and “Dirt On My Boots”, as well as the hits “Heartache On The Dance Floor” and his current smash “She Ain’t In It”.